HO CHI MINH CITY, Vietnam — Endless lines of scooters zoom along avenues crowded with cars and trucks. Street vendors bustle around their stalls. It’s a regular, sunny morning in Vietnam’s largest city. But in a quiet corner of a Starbucks where friends chat over lattes, a handful of men and women sit in a circle, grousing about their government. In Vietnam, where the Communist Party is the sole legal political group, authorities strictly control the media. But the internet — and social media in particular — have sparked a peaceful explosion in dissident activity. Nguyen started blogging a few years ago. At first, she wrote about family and the household. But later she felt impelled to turn to politics. Nguyen and her brethren are now part of a new wave of Vietnamese seeking freedom of expression. “Through the internet, I found out that there are so many things that were totally different from the facts we had been told all our lives,” she says. “In our society you are not supposed to think for yourself or to dig deeper into things." At last count, there were more than 30 million internet users in Vietnam. As the community of netizens grows, the government is struggling to control the torrent of political discourse that’s now cropping up online. "There is only one truth: The one the government dictates." Last year, officials enacted Decree 72, which makes it illegal to use blogs or online social networks to share news-related information. Bloggers who disobey the strict state control risk police harassment, intimidation and abuse. Reporters Without Borders notes that Vietnam has the most bloggers in prison of any country after China. In 2012, the latest year for which figures are available, prosecutors charged 48 bloggers and human rights activists, imposing a total of 166 years in jail sentences and 63 years of probation, according to the group. Even so, Hanoi’s iron grip has bloggers smirking at ironies arising from it. Police arrested Nguyen once, but released her after 10 days. Now they routinely follow her. She’s also suffered violence that seems disproportionate for a mother posting her thoughts online. Another blogger, An Do Nguyen, used to work in a media company as a project manager of a television show. Due to her posts on Facebook, she lost her job. In a sense, the intimidation backfired. Unable to find another job, An now dedicates herself full time to a network of bloggers that has more than one hundred members — and which is growing, and includes party members. Pham was arrested on charges of conspiring to overthrow the government and anti-government propaganda, but released after five months. The threat of more prison time doesn’t dissuade him from speaking his mind online. 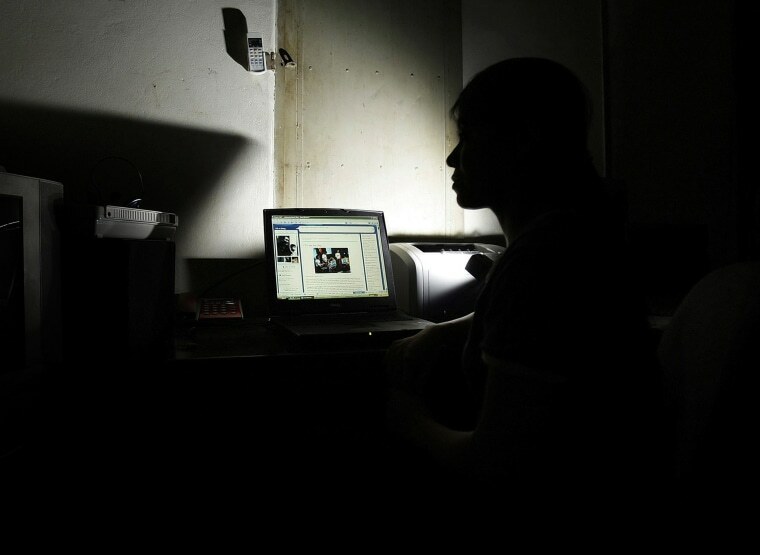 Pham, Nguyen and other bloggers don’t hide their identities. Instead, they emphasize how they are waging a public battle for the hearts and minds of their fellow citizens. She points out two empty chairs. “Reserved” tags on both say they are meant for the police. Their alleged presence is a testament to Vietnam’s police state, but Nguyen is gratified that they are letting the meeting continue. This story first appeared on GlobalPost. Did the Khmer Rouge really commit genocide? Thousands risk torture from Vietnam War-era allegiance with the US. Asia's heroin now sold in lemony yellows and cotton-candy pinks.